We're excited to announce that we've finalized the dates for the 2016 Get in Rhythm, Stay in RhythmTM Atrial Fibrillation Patient Conference: September 16-18 at the Sheraton DFW Airport in Dallas, Texas. The most important thing we can tell you about this event is that it's designed around one integral concept: You may have more control than you realize when it comes to your atrial fibrillation. You don't have to go through each day scared and frustrated. You absolutely CAN live a full life, AND manage the stress that afib can bring. This conference brings together world-renowned experts who are passionate about helping you live a better life. 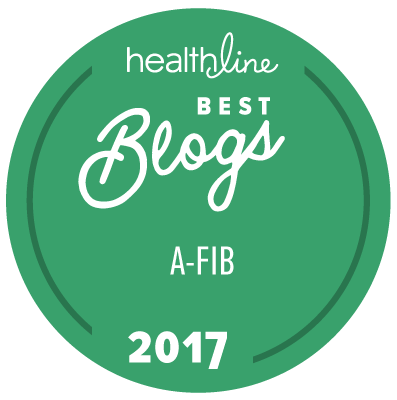 They can’t wait to share information and strategies for taking control of your afib. If you'd like to experience greater peace of mind, we'd love for you to join us in Dallas, where you will learn how to take control and live your happiest and most fulfilled life … enjoying your favorite activities and people. When you attend the conference, you and your family members will gain a deeper understanding of afib, including the risk factors for it, why it's a problem, how it's treated with medications, and if medications don’t work, which procedures are available to treat it. You'll also learn which lifestyle changes can help keep your afib under control, and how to communicate effectively with your doctors. You'll hear all of this from the electrophysiologists and surgeons who are THE innovators and pioneers in the field, and you'll have the opportunity to talk with them one-on-one, between sessions. "A great and enlightening conference. I am so appreciative." "It was very insightful for us. We walked away with a better understanding of this condition." "It was the most informative seminar I have ever attended." "Excellent presentations from all the speakers." Again, we've scheduled the 2016 Get in Rhythm, Stay in RhythmTM Atrial Fibrillation Patient Conference for September 16-18 in Dallas, Texas. So take a moment now to grab your calendar and mark the dates—we'd love to see you there! Sign up for our newsletter at the top of this page and then watch your inbox for more information about this year's conference. P.S. We're covering everything from diet and supplements to exercise and medical treatments. We’ll talk about ways to stop your afib, and how to prevent strokes. If you have afib (or, someone you love does), you don’t want to miss this! Take a moment to write this down in your planner or calendar now: Be in Dallas September 16-18 for the 2016 Get in Rhythm, Stay in RhythmTM Atrial Fibrillation Patient Conference.